Do you hear that? It's the sound of hundreds upon hundreds of 5 star reviews whispering to you. 1. A stainless steel bench scrape for transferring chopped foods without sprinkling them all of your counter, stovetop, or floor. 2. 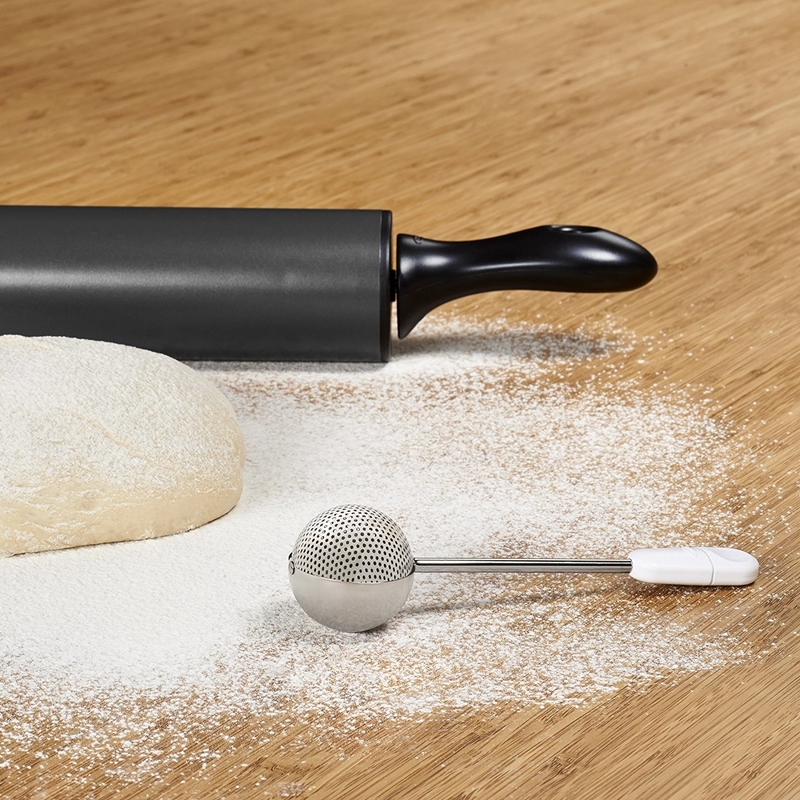 A silicone pastry mat printed with measurements that'll make it easier to roll your dough into *just* the right size. It also doubles as a baking liner! 3. 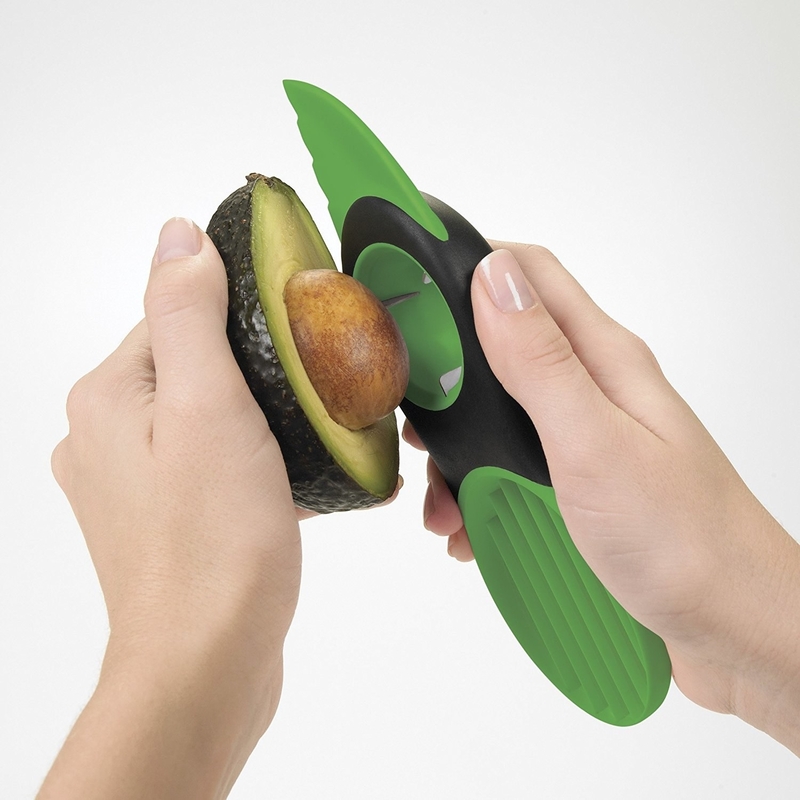 A 3-in-1 avocado slicer for anyone who can't live without fresh-made guac. 4. 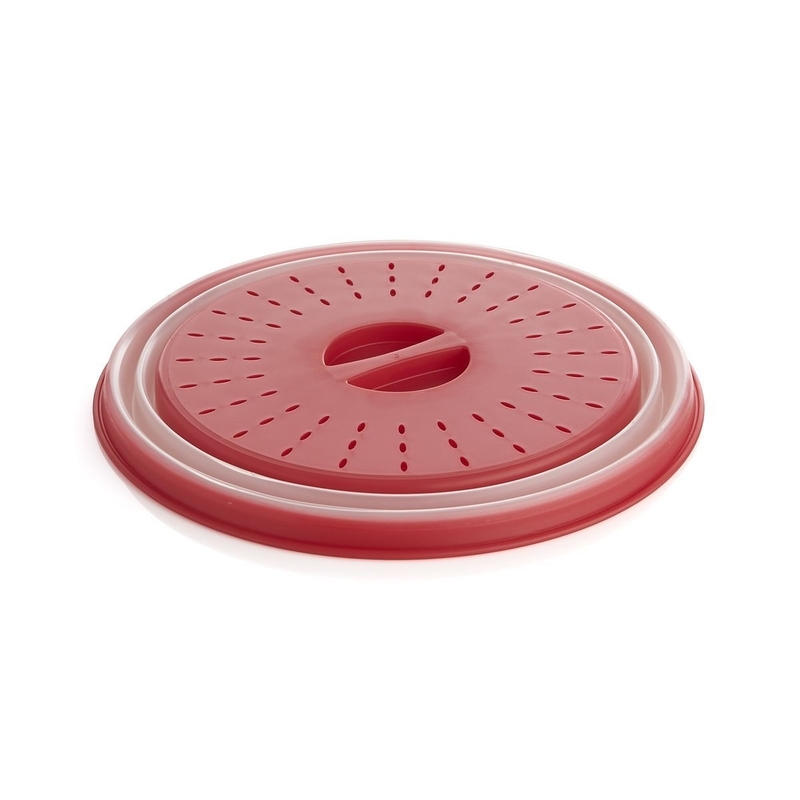 Adjustable pie shields to prevent your painstakingly-formed crusts from burning. 5. 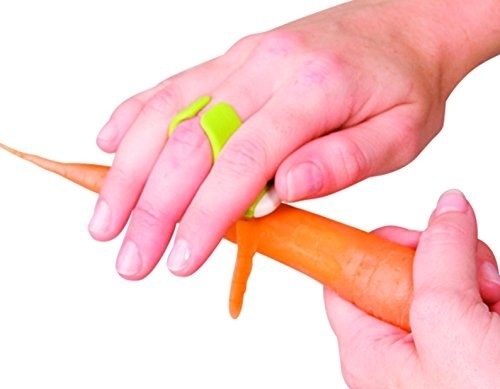 A fruit and vegetable peeler that fits right into the palm of your hand. 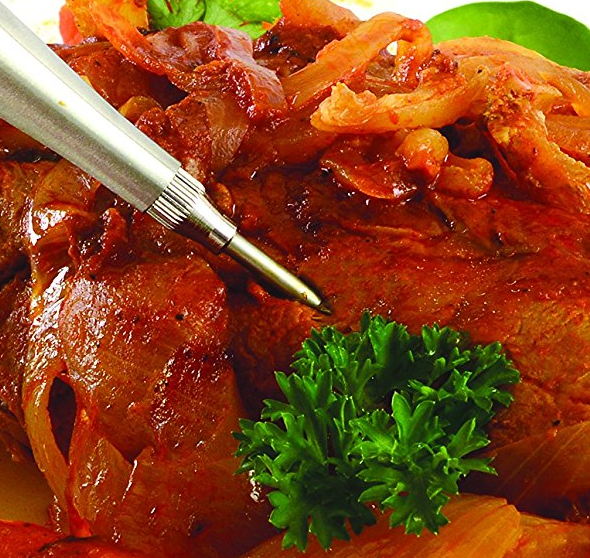 Promising review: "This is my favorite peeler! 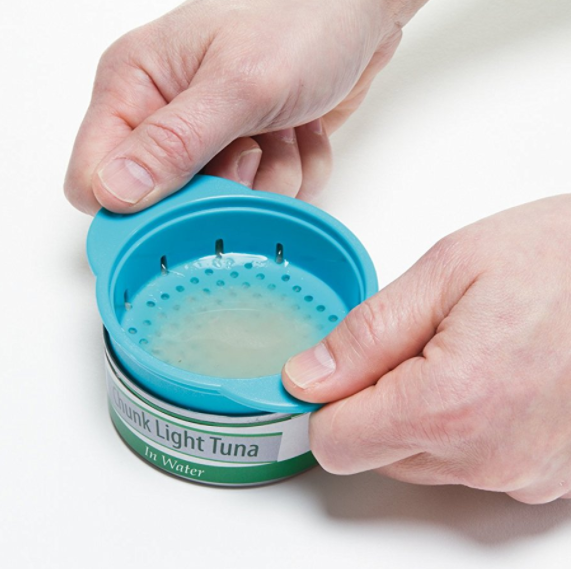 It uses a natural motion and the peeler works very well. 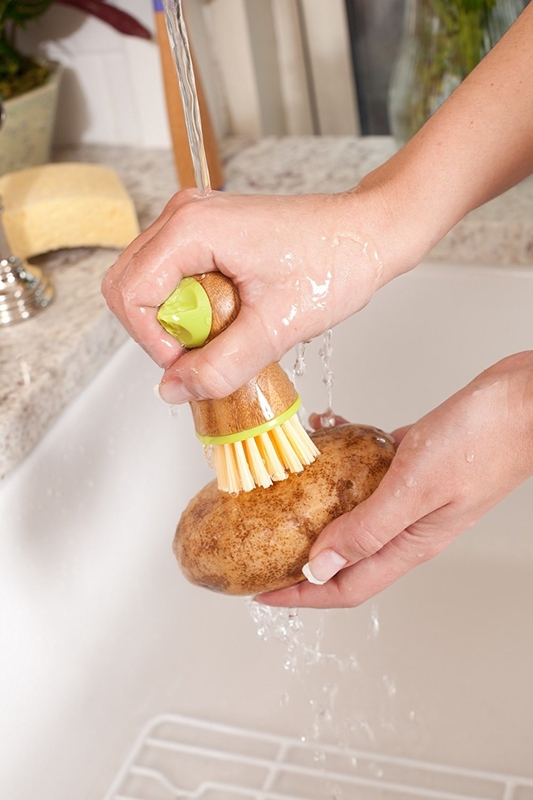 I already own one of these: I panic-ordered this one because I couldn't find mine and after peeling a mere 6 potatoes with my old peeler, I decided I couldn't just wait for it to turn up! (Of course, I nearly immediately found it ... but I did not cancel this order because I am happy to have a spare!)." —Carolyn M.
6. A pair of lobster-esque claws to clamp spoons, ladles, and the such right where you need them. 7. Bag clips that'll basically act as an extra set of hands in the kitchen. 8. A set of four brightly-colored bowls to use for prep work *or* serving. 9. A steel blade that'll split dough with ease. 10. 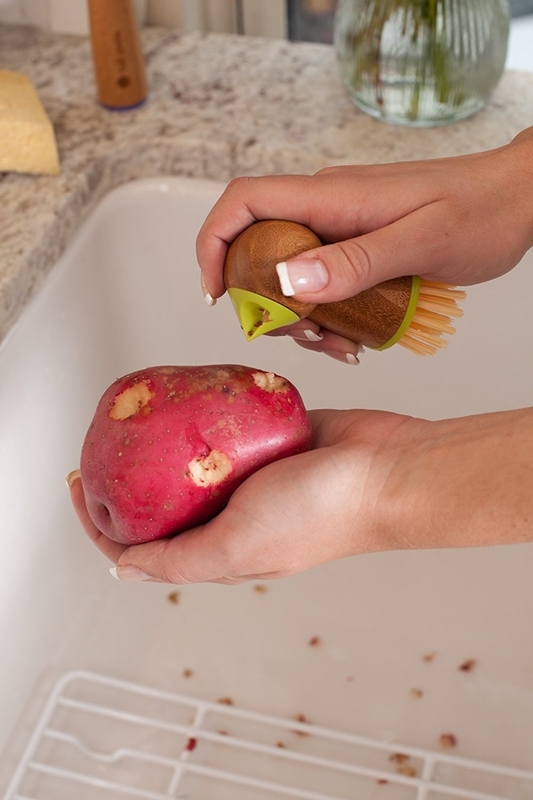 A "Tater Mate" to get your spuds all clean and eyeless before you start mashing, baking, or fry-making. 11. A gadget for de-coring a pineapple in (pretty much) an instant. 12. A grater that's straight-up great (lol, it's true though). 13. 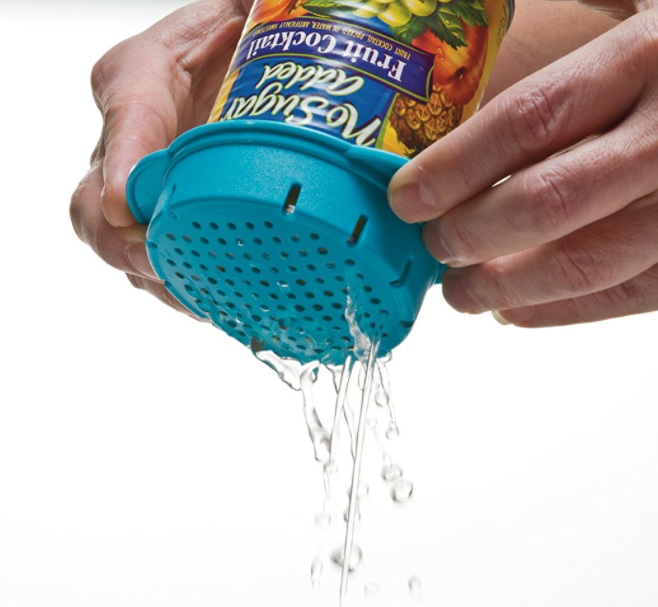 A colander made specifically for can-tops. 14. 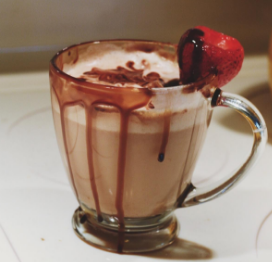 A pitcher to turn milk or cream into fluffy clouds of foam. Promising review: "We've been using this frothing pitcher daily for several months and we're really pleased with it! 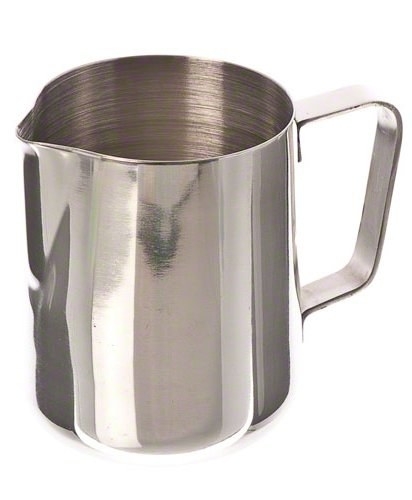 It's easy to use, easy to clean, and holds a large amount of milk. It, true to its nature, has not stained or tarnished. The pitcher is a great price for the quality and serves as a necessary tool to help make perfect lattes, cappuccinos, and more at home!" —Larissa W.
15. A hanging or standing thermometer for people who don't necessarily trust their oven's built-in temperature settings. 16. 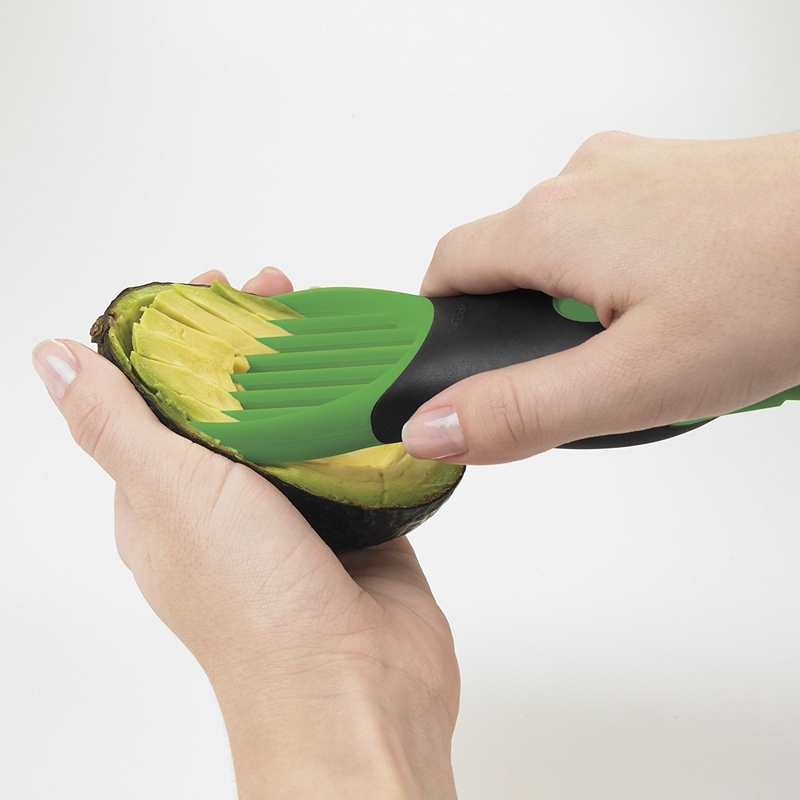 A non-slip jar opener that'll make you feel like you have Popeye-level strength. 17. 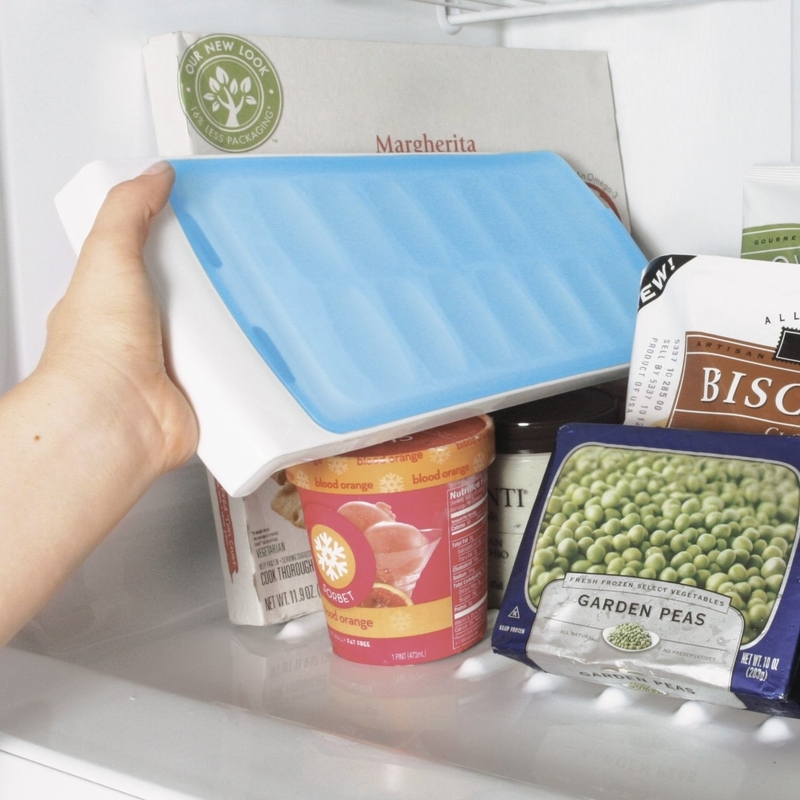 An ice cube tray you can slide into a crowded freezer horizontally *or* vertically—with no spills. 18. 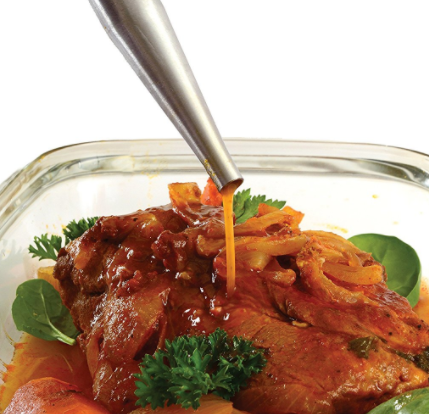 Liners that'll save you from ever cleaning out your slow cooker again. 19. 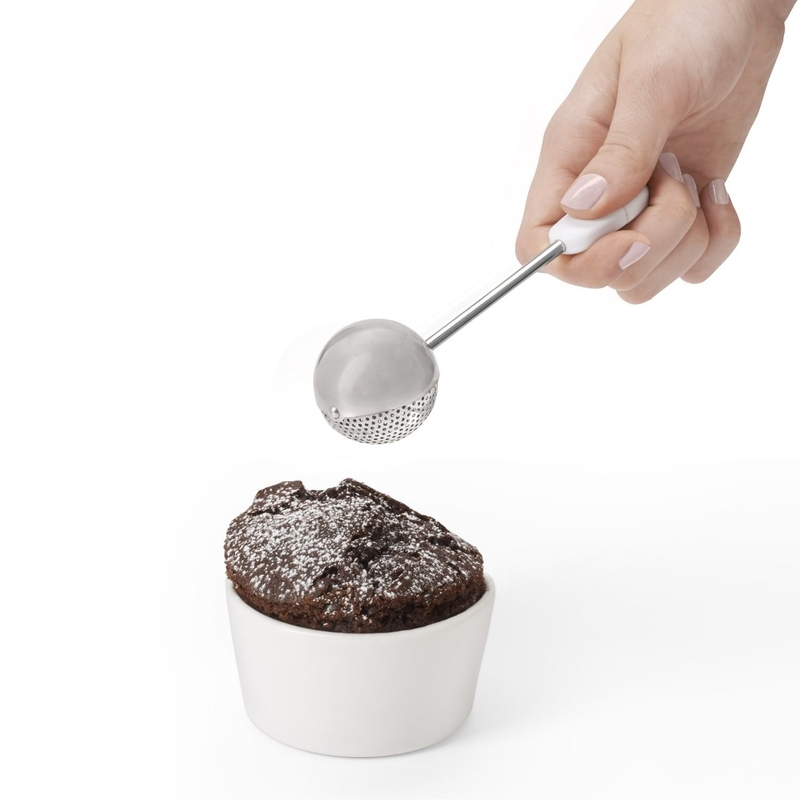 A dusting wand for flouring pans or sprinkling sugar, cinnamon, or other powders atop desserts. 20. 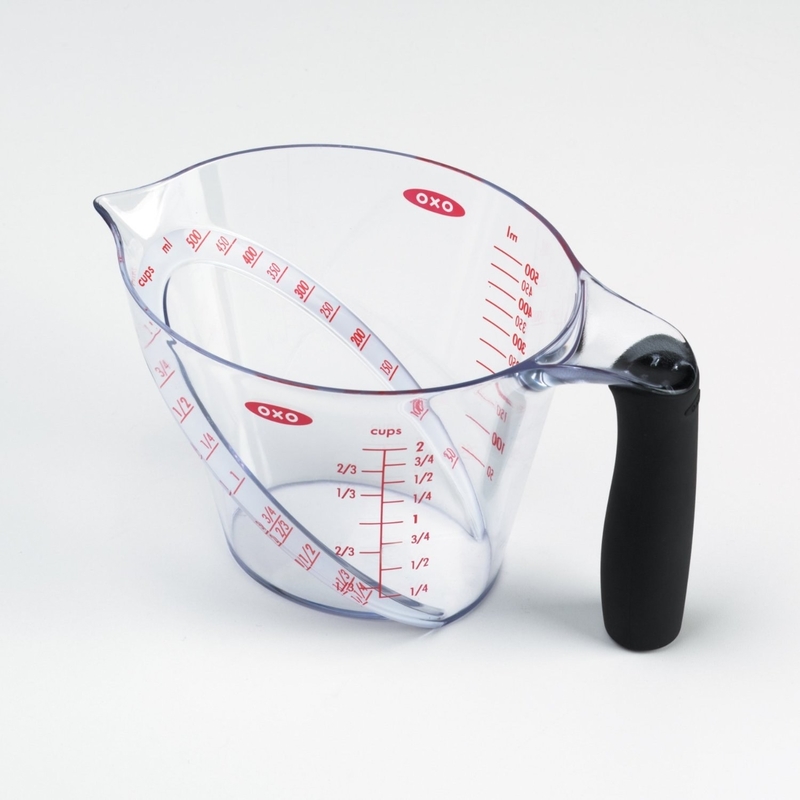 An angled measuring cup (so you can read the measurements from above). Promising review: "Whoooohooooo! 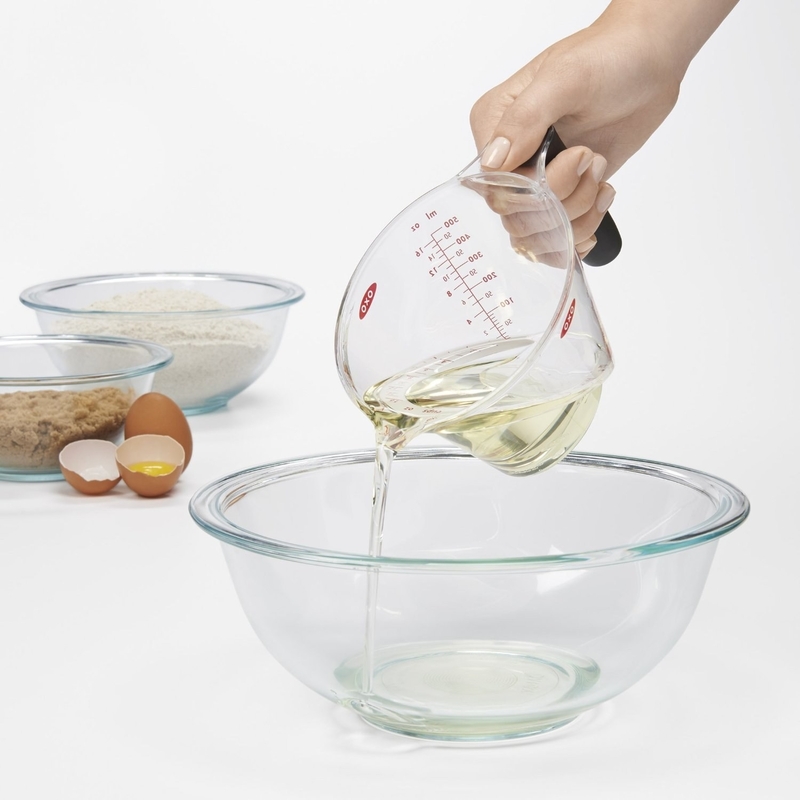 If you're going to get excited about a measuring cup, it might as well be this one. Designed with consumer habits in focus, the angle of the cup makes it easy for you to measure out liquids by looking directly into the cup as you pour; no more cocking your head to the side! Measure by the cup or by the ounce. Dishwasher safe, lighter in weight than your traditional glass cups, and it has a great grip which allows you to keep a handle on it (no pun intended) when things get messy. Durable and still looks brand new after two years of heavy use. This is your cup!" —Drea A. 21. 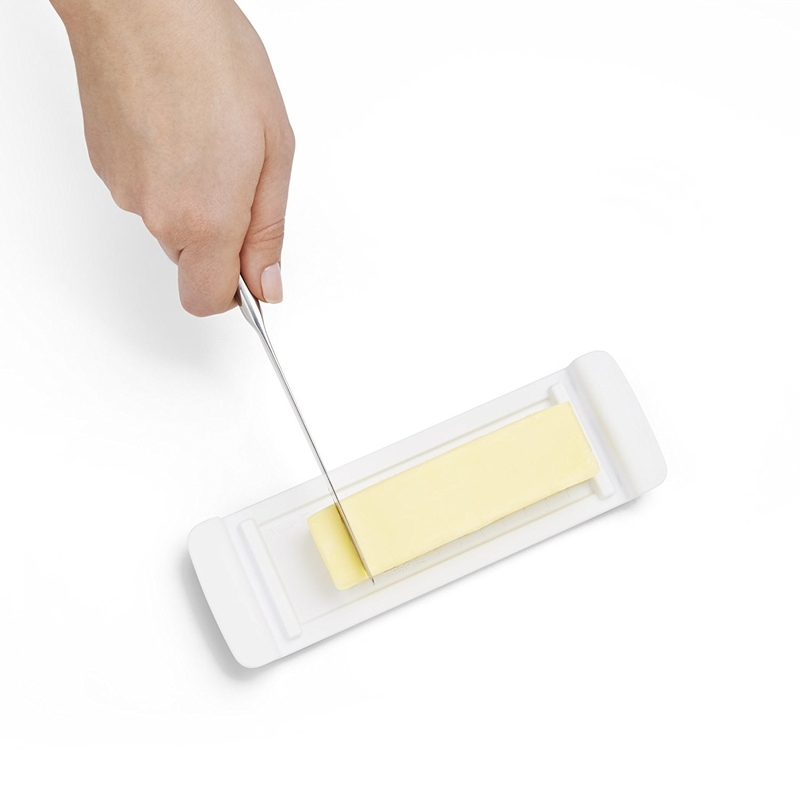 A set of three silicone spatulas that resist heat, stains, and odors. 22. A citrus juicer with a non-skid base and a lid that doubles as a measuring cup. 23. Tongs. Because everyone needs a quality pair of tongs. Truly. 24. 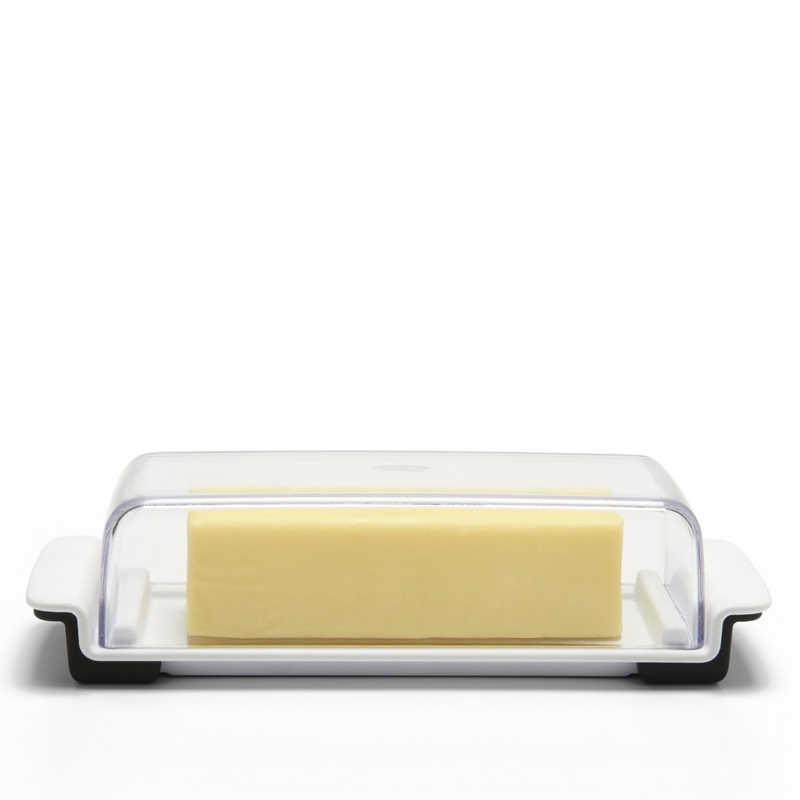 A butter dish with stoppers on either side (so it stays in place while you chop) and measurement markers. 25. A knife sharpener (because it's actually less safe to use a dull knife than a sharp one). 26. A stainless steal baster that comes with a cleaning brush *and* an injector attachment. 27. 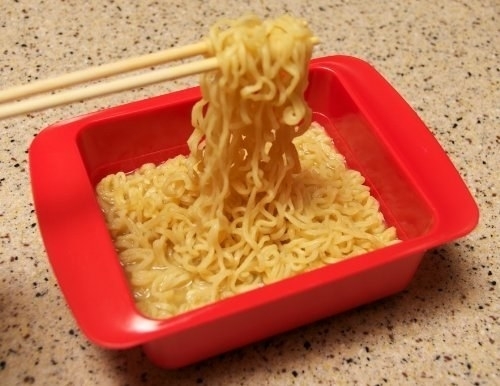 A cooker to heat up ramen noodles in half the time. 28. A basket-style strainer to use when boiling pasta, deep-frying onion rings, or blanching veggies. 29. 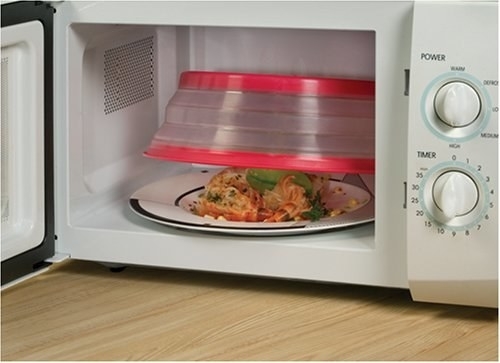 And collapsible cover that'll keep the interior of your microwave from looking like a crime scene in need of a blood splatter analysis from Dexter Morgan. Promising review: "I bought this because I have 5 children and one of them decided to blow up an egg inside of the microwave. To say it was a mess would be an understatement. 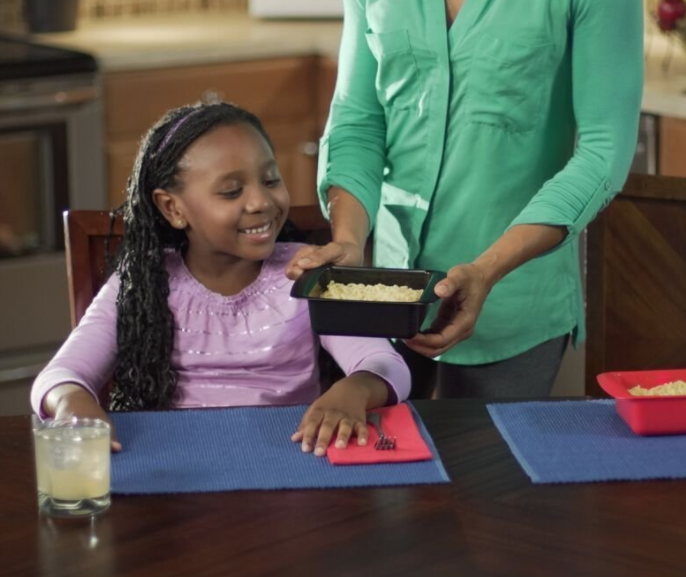 After this incident, I really started to crack down on everyone covering their dishes in the microwave, but some bowls and plates don't have lids. So then we started using A LOT of paper towels and plastic wrap. Wasteful!!! So I searched online and found this. It's big enough to cover a plate, tall enough to cover a bowl, vented to allow the steam to escape, and when you're, done it folds flat. I just leave it in the microwave so my kids don't forget about it. Honestly, I love this. It's definitely worth more than the price" —Charell S.